Breakfast. Literally the reason I get out of bed every day… Today I practically leapt out of bed as I was excited for what I knew was going to be an epic meal! 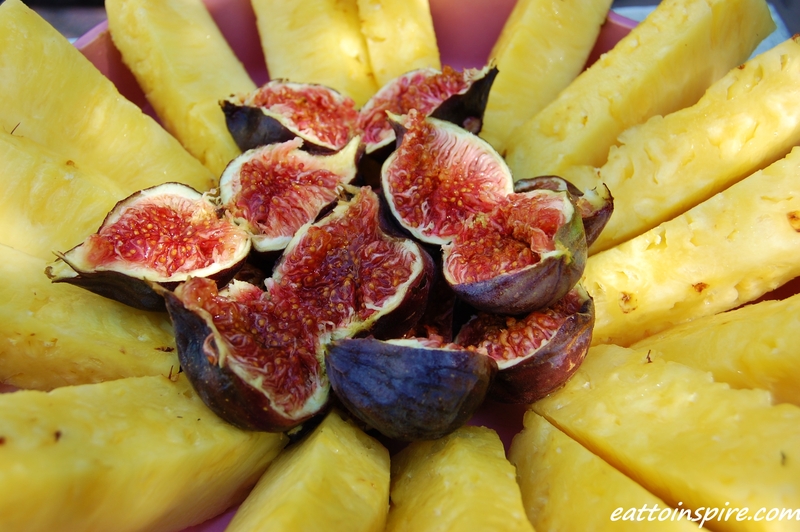 Yesterday at work I brought home these ooey gooey jammy figs and these super sweet pineapples. My oh my. What a delight. 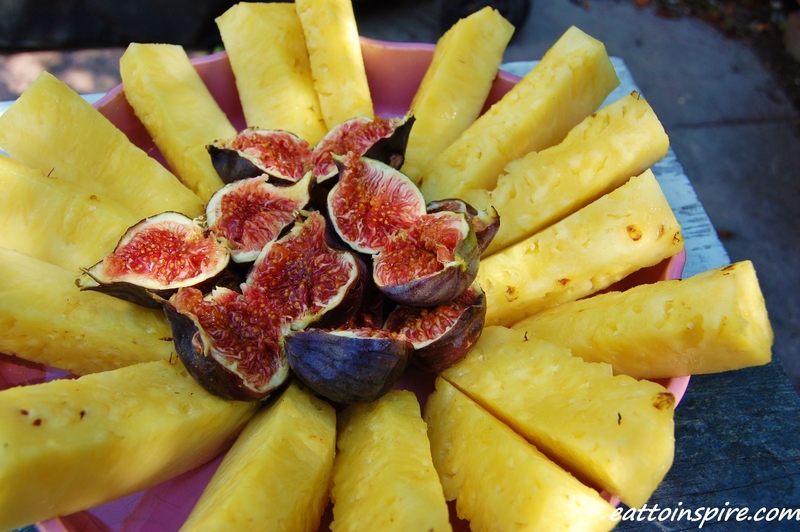 For breakfast this morning I tucked into about six jammy delicious figs and two whole juicy pineapples. I was set for the day after this veritable feast of fruit. Of course I got all of this yummy fruit from Fruit Me Bristol, if you’ve not been to visit us yet I’d recommend you check us out 🙂 We’re outside the Arnolfini every day and starting Monday we will have some beautiful organic veggies for sale, yummm! I have had a lovely day at work today, I’ve met some cool people and even bumped into an old friend from uni which was an awesome surprise 😀 I’ve got a cracking tan from working outside this week. Today I am thankful for the sun for making our fruits deliciously sweet and for making my skin glow. Have an epic weekend and enjoy the sunshine lovely people! 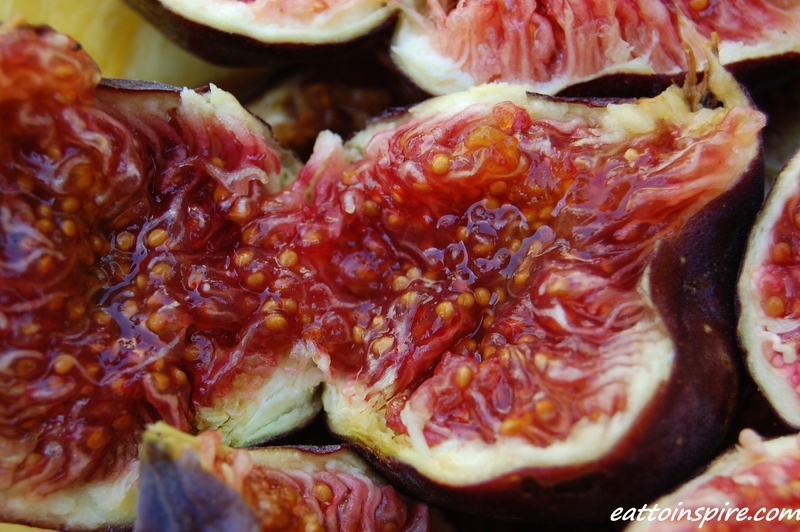 Ahh I have recently fallen in love with figs – so good!